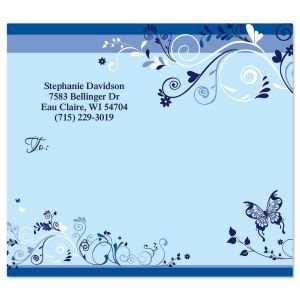 Speed your new address to friends, family, and business contacts with our cool blue butterfly postcards. 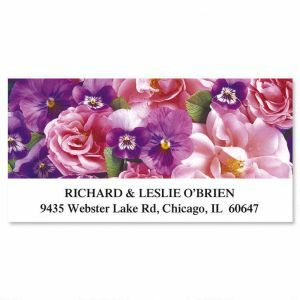 Single-design set of 24 postcards will be printed as you specify. 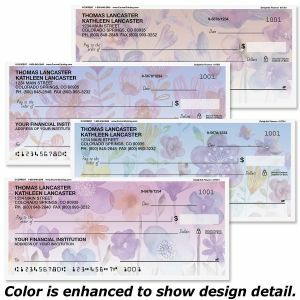 The reverse side is a standard postcard format. 4" x 5 1/4". 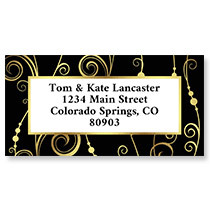 Specify block or script and 6 lines, up to 28 characters and spaces. 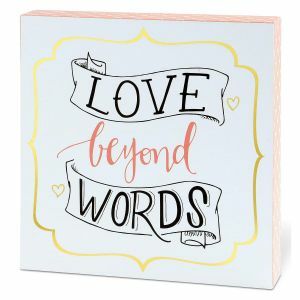 You'll be in the forefront of thoughtful communication when you use our blank-inside note cards to invite, announce, or say thanks. 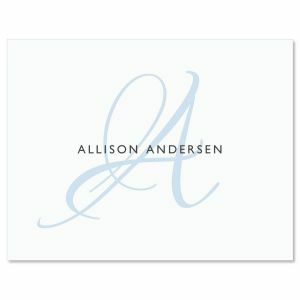 Each card in this set of 12 measures 4 1/4" x 5 1/2" and comes with a white envelope. Specify 1 line, up to 12 characters. 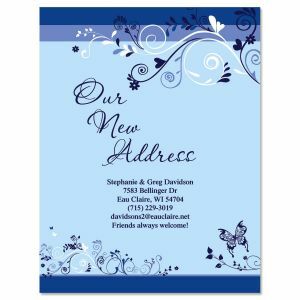 Cool blue butterfly-and-scroll design frames the destination address! 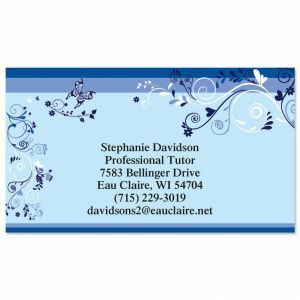 Self-adhesive labels have smudge-proof surfaces and roomy address spaces! 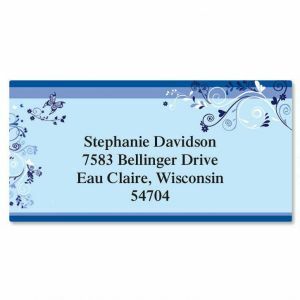 You receive 36 address labels per set, approximately 3 3/8" x 3 7/8" each. 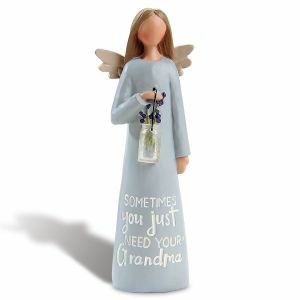 Specify block or script and 4 lines, up to 26 characters each. 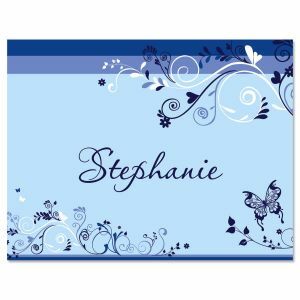 Cool blue butterfly, flower, and scroll design frames your name and information so that recipients will easily remember you. 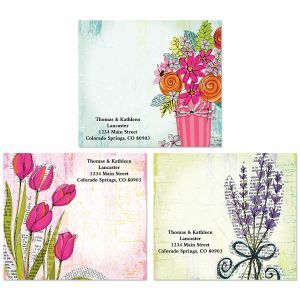 The set contains 250 single-sided 2" x 3 1/2" cards. 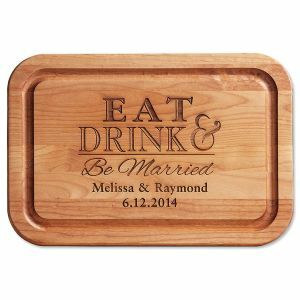 Specify block or script and 6 lines, up to 30 characters each.